Earthworm Jim 2 SNES Super Nintendo Game Cartridge Cleaned Tested and Guaranteed to Work! Two times two is four! Too much to list, but keep reading: From Evil the Cat's 'Circus of the Scars' to the planet of Meat, join Jim on a mad cop chase across the galaxy. Saving cows, thwarting lawyers and outsmarting Psy-Crow are all in a day's work for Jim. Are you up to the challenge? Can you handle the awesome new weapons? Excellent! Then stop reading this. Take it up to the front counter and try it at home! Trust no one, play it yourself...or EAT DIRT! 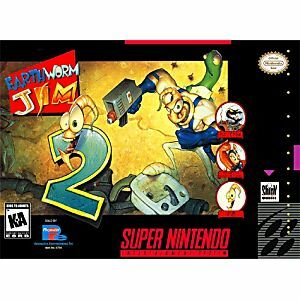 I have not played this game since I was a kid, and it is by far the better of the Earthworm Jim games. The memories came flying back and I felt like I had gotten into a time machine. Thanks Lukie Games for delivering once again a great game in awesome condition. I have ordered off of them for the last year and haven't had one complaint. Even bought a NES and N64. This site is awesome!!!! One word:Excellent! Part of my childhood game..Thank you so much Lukiegames! I'm gonna order again great games from you guys. Shipment is fast and secure. 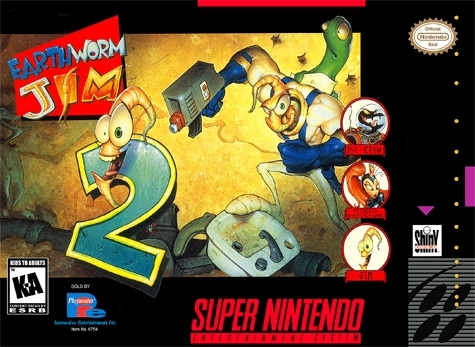 I love the earthworm jim games! Does anyone remember the cartoon? thanks lukie games! This game is just as wacky as I remember it when I played it as a kid. 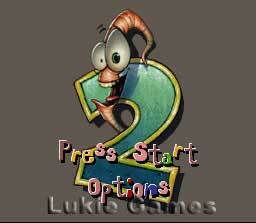 Awesome platformer, goofy comedie. Good times Love it. 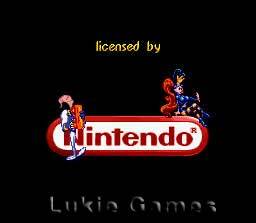 this game is a classic, i got it exactly as lukie games said always confident in anything i get here THANKS!!! I love this game purely for the fact that it's crazy. I didn't pay much attention when I was younger but now I'm making up for it. the game worked first try, no fussing or resetting. thanks! Just as insane as I remembered it to be. With a good challenge and solid gameplay, mixed with the art of lunacy, this game is a safe bet for platform and adventure game fans. I purchased this game, hoping it would be as good as its predecessor. I didn't get that, but I got an okay game. It has the same fun platforming and shooting of the first, but the level design is flawed. My first complaint is that the same level is repeated three, (I think) times to make the game longer! RIDICULOUS! Also, this level is an extremely boring, tedious and long one. This game's other fatal flaw is that most of its levels are too tedious. For instance, one has Jim floating up to higher points in a level with his inflated head. Okay that's fine. It goes downhill when the slightest mistake will send you falling to the beginning of the level. Many other levels will aggravate you in this way, too. This game does improve on the first one by being even more funny. (Level 8 is called level ate, *giggle*). Even with this minor enhancement, Earthworm Jim 2 does not live up to the first. Get this one if you like the first, though.